FriLight Saturn 8716 plastic 12 volt boat light with G4-pin bulb type socket. Toggle switch and frosted lens. Customize your Saturn 8716 with 12V Halogen/Xenon bulb or 12-24V LED bulb as well as choice of finish color. 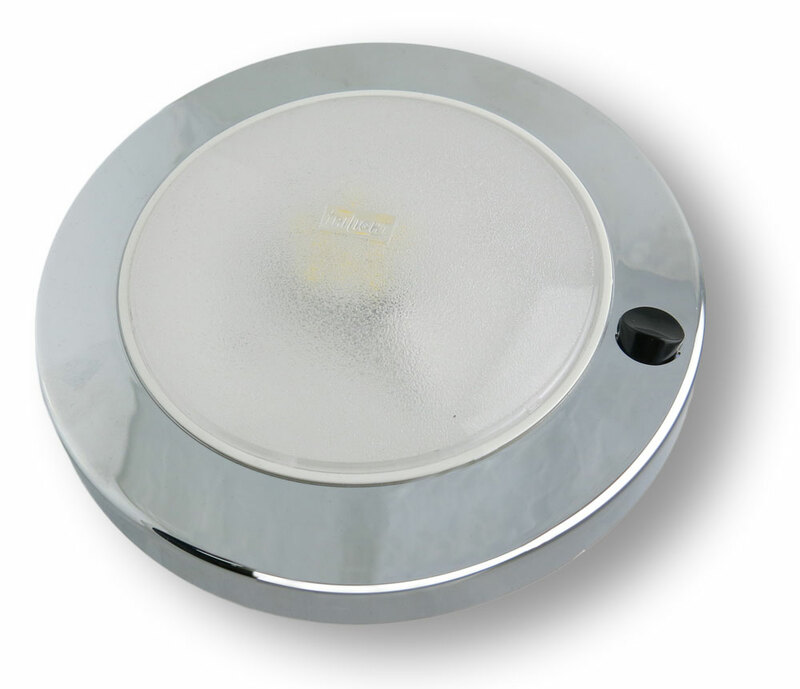 Surface mount marine light with built-in rocker switch, G4-pin bulb and finish options. LEDs available in bright, energy efficient 12 SMD and 16 SMD G4-socket bulb styles. 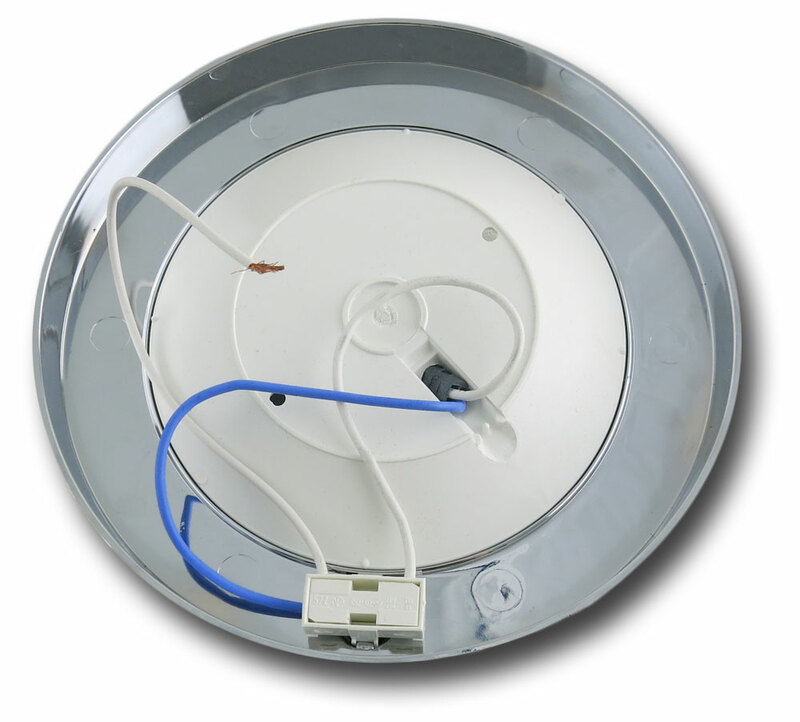 These LEDs are able to function on an input of 10-30 volts DC. Warm White, Red/Warm White bi-color, and 3-Way Dimmable LEDs. 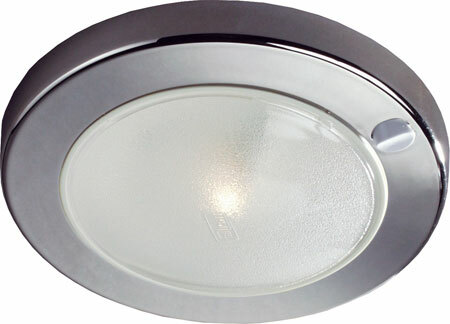 Bi-color Bulb options offer a full-brightness Warm White LED in addition to a secondary color option. Contains fuse to to protect from current overload.